If you are looking for help in becoming pregnant, California IVF Fertility Center, in Davis California, has a reputation of pushing the boundaries of what is possible and improving the rates of success with our treatments. Our board certified infertility doctors will establish a diagnostic plan to test for the most common causes of infertility and oversee your treatment process. Our team of friendly and compassionate staff will guide you through the process and various treatments we provide. Our fertility specialist, Dr. Ernest Zeringue, is a fellowship trained reproductive endocrinologist and infertility expert. He has extensive surgical experience with tubal reversals (bilateral tubal reanastomosis or BTA), myomectomies, and laparoscopy for infertility evaluation and endometriosis. Areas if clinical interest include insulin resistance and hyperinsulinemia as it relates to infertility and weight loss and In Vitro Fertilization (IVF). He is committed to improving the success of IVF treatments including the already excellent success of the California Conceptions Donor Embryo Program. Dr. Zeringue has years of experience working with metabolic disorders involving excess insulin levels. These disorders are often referred to clinically as PCOS and metabolic syndrome X. Many women treated for these types of disorders experience normal ovulation and pregnancy, as well as weight loss and increased energy. As the medical director of California IVF, Dr. Zeringue has oversight of the procedures and protocols used at California IVF. With an expert team, California IVF has been able to evaluate and implement technology as it becomes available. In several instances, California IVF has been able to adapt and improve techniques that have led to impressive changes in pregnancy rates. If you are having problems becoming pregnant, we can help. 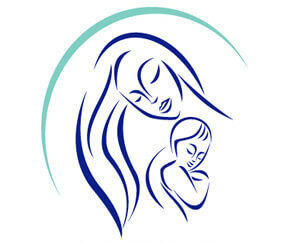 California IVF Fertility Center offers all types of infertility testing and evaluation. Our treatments range from diet changes through inseminations, and IVF with ICSI and PGD. Donor sperm and donor oocyte options are available as well. Call today to schedule your free informational tour. There is no obligation! Supporting infertility research will allow us to improve pregnancy rates by moving beyond what we already know about embryos and start looking at ways to alter what happens inside the embryo. California IVF Fertility Center has invested in a microscope capable of imaging the internal structures of an egg and embryo using 3-D modeling. This will allow us to monitor spindle formations and orientations of cellular structures, as well as monitor potential changes to these structures as culture conditions are altered. Several lab changes, including changes to ICSI have resulted in remarkable improvements in embryo survival. Additional alterations to the internal physiology of an already compromised egg may allow it to correct internal problems and get back to the proper developmental pathway. Screening for genetic abnormalities while monitoring developmental markers during embryonic development is also an area of work for California IVF and our fertility research team.